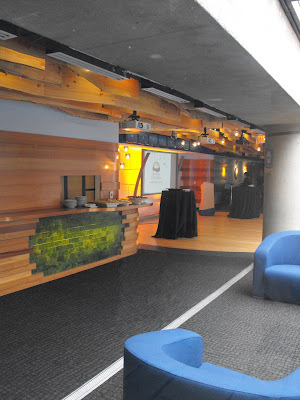 During the run up to the 2010 Winter Olympics we were approached by several Vancouver based companies wanting to showcase BC wood and BC manufacturers during the games. 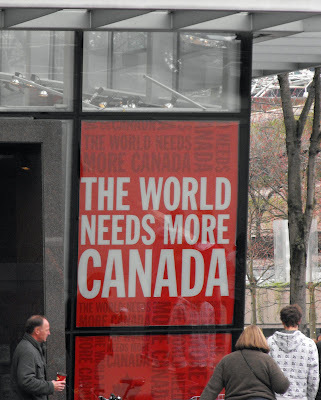 We answered with a resounding 'YES' and below you can see the results. We found these two hanging out with the GE guys in Robson Square. 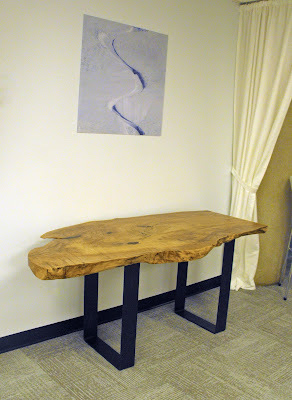 These tables are a part of the BC wood showcase in the VIP hosting space of the Vancouver Art gallery. 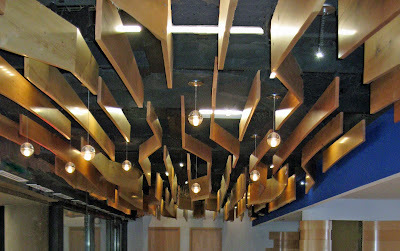 This ceiling feature is made up of live edge wood planks from all across BC. Community groups donated reclaimed wood from upturned trees in bogs, submerged logs in lakes and blown down trees from wind storms. This is truly a great showcase of a large group of people coming together to show the world how precious our forests are and how resourceful we are in reclaiming this resource. 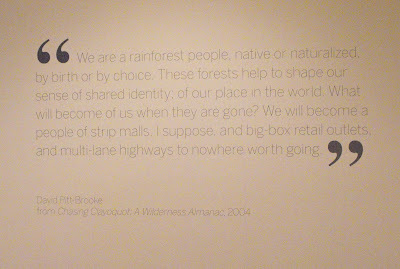 A very apt quote in the second and third floor exhibit at the Vancouver Art Gallery; Visions of British Columbia.